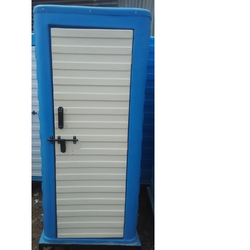 Leading Manufacturer of frp economical western toilet, frp economical indian toilet with ceramic pan & flush, economical bio toilet portable toilet, frp toilets and zero discharge toilets from Thane. As a quality-oriented organization, we are focused to provide our clients excellent quality Economical FRP Toilet. Designed with extreme precision, the offered toilet is manufactured using best quality raw material and superior technology. 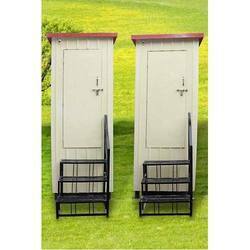 Offered toilet is used at varied places like construction sites, mines, etc. In addition to this, our products undergo different test under the direction of quality examiners, in order to ensure its excellence. Clients can avail the entire range from us, at market leading rates. Owing to our extensive years of industry experience and profound market understanding, we are providing a wide gamut of FRP Toilets. 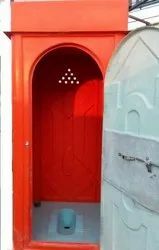 The offered toilet is uniquely designed in observance with industry quality standards using best quality raw material and the latest technology. This toilet is mainly used at remote areas. We offer the entire range in varied finishes and specifications, in compliance with details specified by clients. Moreover, we provide our valued clients with the entire range at market leading prices. With the constant support of our dexterous crew of professionals, we are fulfilling the varied requirements of clients by offering optimum quality Zero Discharge Toilets that are used at varied places. 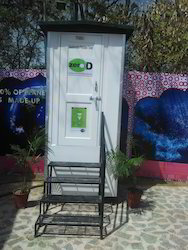 These toilets are designed by our experts from the finest grade raw material, at par with the market prevalent sundaes. In order to ensure quality of these toilets, our quality controllers execute a series of test on different parameters. Further, we provide the entire range in customized options, as per the needs of our esteemed clients.